PARSEC DATA MANAGEMENT IS LOCATED IN THE HEART OF MONTANA. Billings is the largest city in the state of Montana and according to the U.S. Census is one of the fastest growing cities in the country. Billings is home to two major universities and a college of technology. As the largest city in the region, Billings serves as a major medical center and recreation gateway. With low property taxes, a pristine environment, a trained work force and a surplus of electricity Billings is the perfect business community. Situated on the Rimrocks overlooking the city, Billings Logan International Airport is Montana’s largest and busiest airport. Passenger service is provided by Northwest Airlines, United Airlines, and Frontier with regional service provided by Allegiant, Horizon Air and Skywest Airlines. 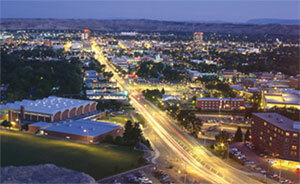 Best Life Magazine recently ranked Billings as the 3rd best place in the United States to raise a family. Montana is blessed with not only world class wind energy developments but also coal fired generation and hydro power as well. The presence of large scale power producers insures not only a reliable source of power but also a competitive rate structure. Montana is recognized as one of the Top Ten States for Low Energy Costs plus multiple major transmission lines under construction will soon add electricity to the list of state exports. Located on a major fiber optic route that runs from Minneapolis to Seattle, Montana’s internet speeds are as fast or faster than anywhere in the nation. The investment put into fiber in the state allows the state to embrace next generation technology and significant growth in the technology sector. Montana offers a trained work force with advanced education levels well over the national average. Historically the state ranks in the top ten for education in the nation. Additionally Business Facilities Magazine rates Montana as sixth for Best Business Tax Climate. This combination of strengths in educated work force and business friendly tax climate has lured such companies as Wells Fargo and GE Capital to open major facilities in Montana. 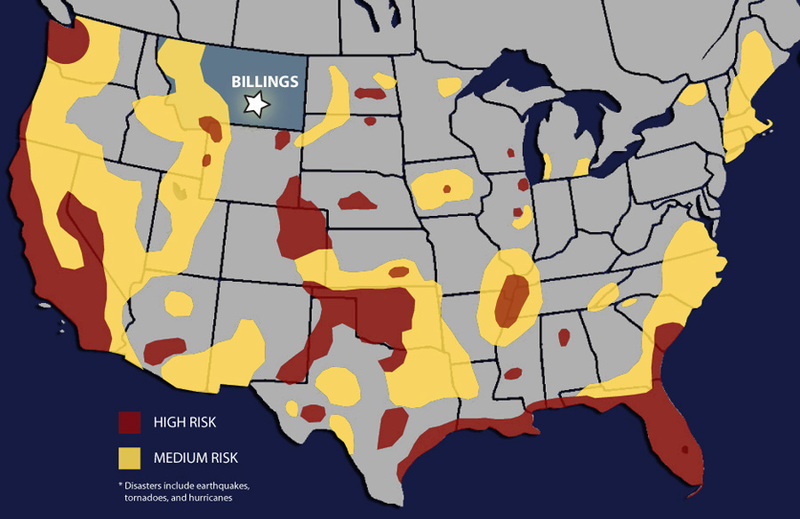 Montana offers a low risk of natural disaster and other business threats and is particularly attractive to companies because of our geographic location. Not only is the state connected to the world via major airlines but the quality of life is such that employee retention is a thing of the past. Ask anyone in the world if they would like to come to Montana and the answer is always a resounding yes. So come on out to Montana. It’s a great business climate and the fishing stories are all true. COMMUNITY, OPPORTUNITY AND ADVENTURE – BILLINGS HAS IT ALL. What do you get when you combine low cost electrical rates, multiple green power sources, an attractive business climate and then locate it on a direct fiber optics route to Seattle? The answer can be found in Montana. Montana ranks first in the nation for entrepreneurs and is a top spot for economic growth according to a report from the U.S. Chamber of Commerce. The state is also ranked among the top five for wind power potential and several utility-scale wind farms are already in operation. Montana is noted as a state on the move with a top ten rating for Overall Growth Performance and is recognized as one of eight states in the nation projecting to operate within state budget without cuts in education or services. With a streamlined permitting and regulatory processes for new and expanding businesses and the state’s tax and regulation policies implemented to spur the development of new and innovative energy technologies Montana is positioned for stable, sustained growth. 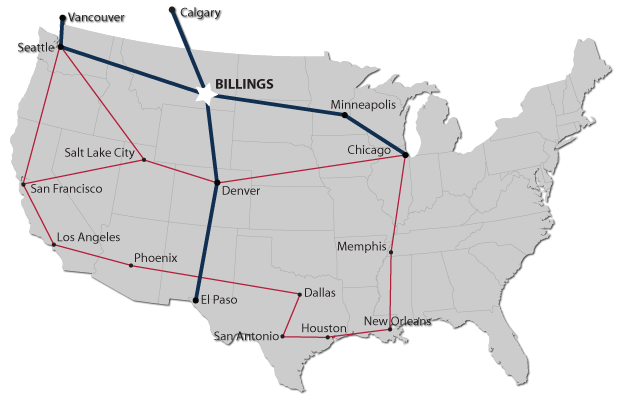 Billings, Montana is located on the relatively uncongested northern east/west US fiber run with close access to the Cut Bank US/Canadian fiber crossing. This means 25% less network hops from North America, Europe and Asia compared to data centers located in the Silicon Valley. In Billings there is on average a 15% increase in global web page upload speeds.